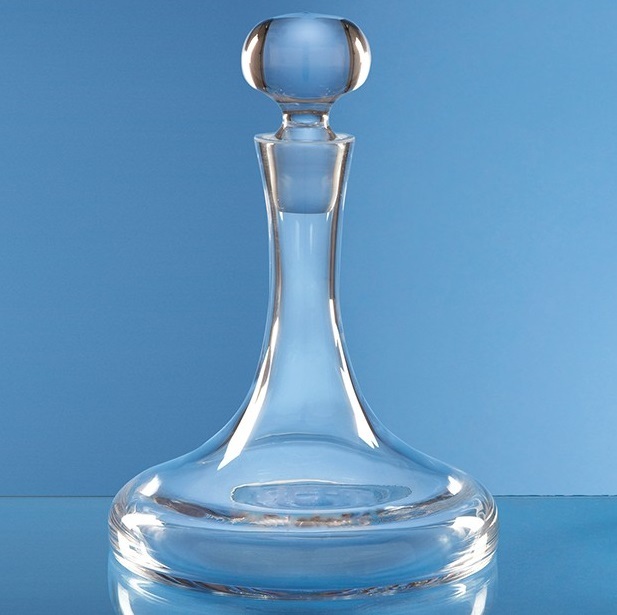 This handmade plain ships decanter has a dramatic curved design with a long narrow neck. The spherical stopper compliments the modern shape of this high quality, handcrafted decanter. Available in 2 sizes, 0.75ltr measuring 265mm x 185mm and weighing 1.3kg unboxed and 1ltr measuring 270mm x 195mm and weighing 1.4kg unboxed.